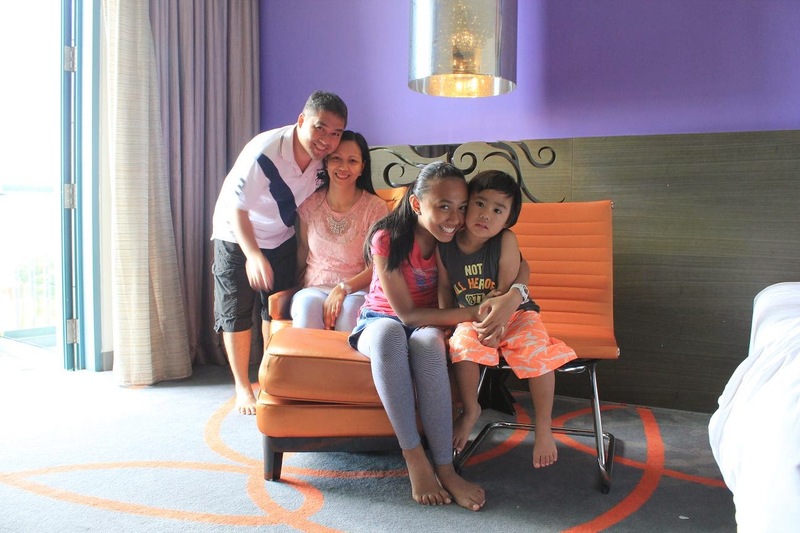 Last Father's Day, I surprised the hardworking hubby with a staycation at Hard Rock Hotel in Resorts World Sentosa, Singapore. It's the only way I can get him out from work as I self-proclaimed a long weekend. I bought a pretty good deal from deal.com.sg using some of my paypal funds from my writing gigs. The deal came with free entrance to Adventure Cove Water Park and S.E.A. Aquarium. Been meaning to share you our happy-nings during our stay there but like a broken recorder, I will tell you again that things has been crazily busy in my side of the world so here's a sneak peek instead. 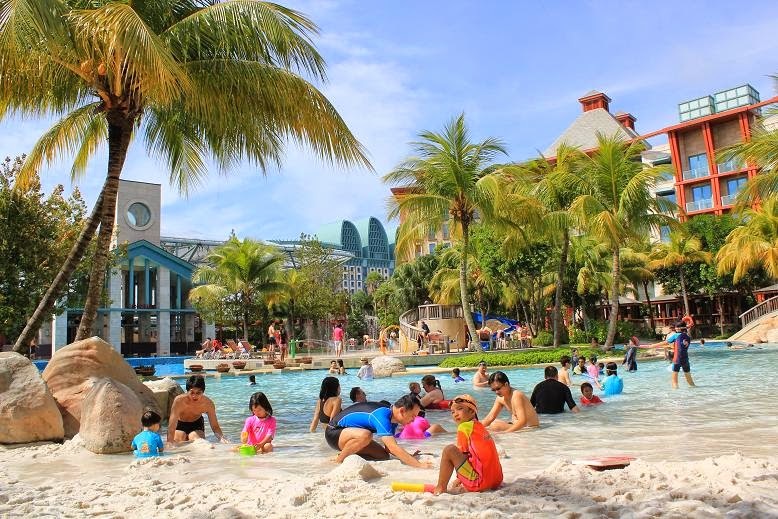 Although the theme of Hard Rock Hotel seems most suitable for adults, their sand pool area is very kid-friendly. I highly recommend it to families with young children. I blogged about our day 1 here and day 2 here. haven't had a staycation on Sentosa yet but I'm definitely considering Hard Rock! That sand play area looks so fun!